VICTORIAN horseman Steve Cleave received a belated birthday present in Bendigo last night. 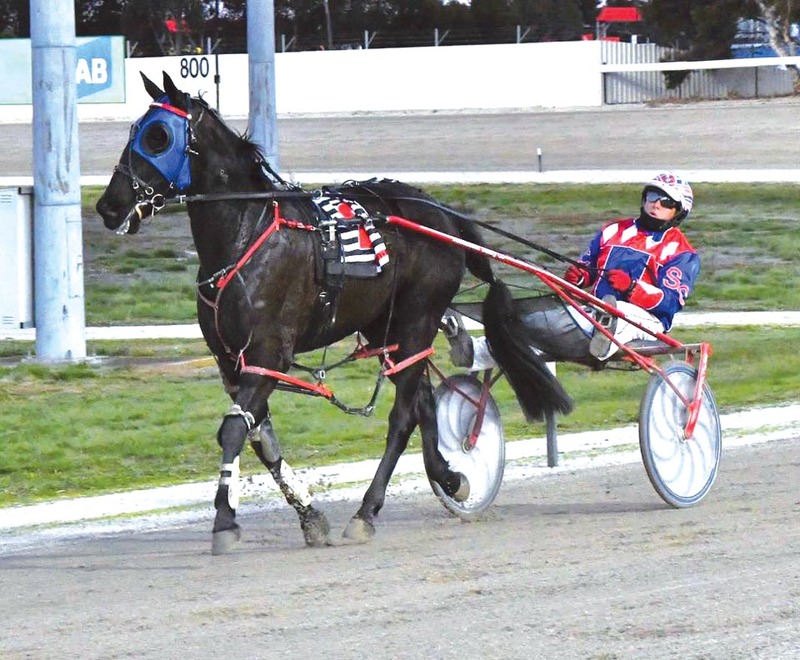 Having celebrated his arrival into the world the day before, Cleave registered a double as a trainer-driver early on the card. While he has driven two or more winners at a meeting on numerous occasions, it was Cleave’s initial double as a trainer. “It was a great night,” Cleave said. “I wish could do that more often. Returning from a six-month spell, Mirakuru led throughout from barrier two to account for Itz Queenofbroadway and Another Sparky. Rating 1:59.8 over 2150 metres, the lightly-raced son of Shadow Play stretched his record to two wins and three placings from seven starts. With no major plans in mind for the gelding, Cleave will select suitable races with the four-year-old as they become available. “I will just continue to work him through the grades,” Cleave said. “He is at least another season away from his best. “He was ready to go as a two-year-old, but was just so big and overgrown. He was 16.1 hands and was in a 62-inch hopple, so I just gave him a preparation and when he was at a trialling stage, I turned him out. “When he came back in as an early three-year-old I noticed he was puffy in his hock, which turned out to be bone chips, which I had removed, then gave him a handful of starts. Tre Cool completed Cleave’s double when he finished strongly to score from The Stags Roar and Montana Mcleod. By Village Jasper from Maximum Joy, the gelding rated 2:01.3 over 2150 metres.